Here are a few options to help with “Back to School” supplies. Over the years the cost of supplies has risen to almost a months rent. Schools are providing less each year and Teachers just can not keep up with their student’s needs. Here are a few great resources to help those in need start off the new school year ready. Please let us know if we are missing any and we will share them online. August 3rd 6 pm, Modesto Parks & Recreation Department and Modesto City Schools Student, Parent and Community Support Services are once again teaming up with the “Welcome Back to School Backpack Giveaway.” Taking place at Marshall Park, the event features an evening with health, safety, and community resources information from area agencies and organizations. It will also feature entertainment, guest speakers and children’s activities. A backpack giveaway will be featured. Parents must be present with children. 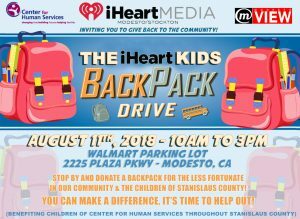 For those who are in the giving mood, August 11th 10 am-3 pm Center for Human Services is hosting a BackPack Drive happening in the Walmart parking lot 2225 Plaza Parkway in Modesto. So please drop off a backpack or two for those in need. In Turlock, there will be a Backpack supply Drive Thru in 10 East Parking Lot. Accepting drop-offs of paper, binders, pencils, notebooks, folders and other supplies to fill 1,000 backpacks on August 3rd 7 am to 7 pm. 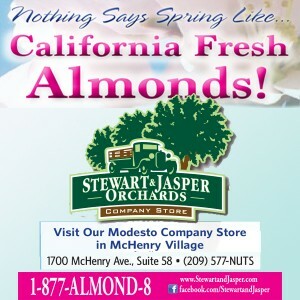 Supplies will be given to the City of Turlock, United Samaritans and the Westside Ministries to be distributed. If you would like to be added to the list to potentially receive a backpack and supplies email Molly Amant admin@turlcokdowntown.com.